I have had Hashimoto’s Thyroiditis for about 10 years now. 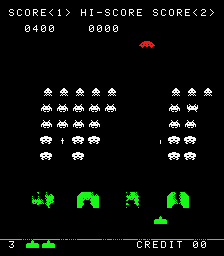 It is an autoimmune thyroid disease that causes my body to believe that bits of my thyroid are actually invading aliens and to destroy them like the ground lasers explode the descending aliens in Space Invaders. This results in hypothyroidism that is treated with daily meds to replace the missing thyroid hormones. Except for the infrequent times that my meds got out of balance and my dosage needed to be changed, this has had very little effect on my quality of life. As diseases go, it is a relatively simple and painless one to deal with. However, it seems that once your body misfires and destroys self instead of real invaders, there is a much higher probability that it will do it again. Incidence of other auto-immune diseases gets much higher, I am told, after the first. This is one of the reasons that Myasthenia Gravis ( MG) is a leading contender for my current muscle fatigues and blurry vision. In this case my initial blood tests came back within the normal ranges for the AchR ( Acetylcholine Receptor) antibody which is the most common cause of MG. It is possible to be seronegative and still have MG ( although personally I am suspicious that this is the medical community grouping like symptoms together without understanding cause and just calling it the same thing), but it also then leads to testing for less common forms of MG- the MuSK ( muscle surface kinase) antibody and the Voltage Gated Calcium Chanel Antibody. They took the blood for these two tests last Wednesday evening ( Nov 3), but it will take us a while longer to get those results back. In a game of medical economics, the rarer the disease the fewer labs do testing for it. Those blood results got sent by the hospital reference lab to two separate labs for processing. Again, we wait for results to decide what to do next- I think this is where they would insert a commercial in a House episode… or just assume that there was conveniently a kit in the basement lab to run exotic diagnostic tests to get results more quickly.